Platinum Residential offers a range of residential properties for those wanting to live in Midrand. Midrand is located between Centurion and Kyalami and is part of the City of Johannesburg Metropolitan Municipality. In 1981, Midrand was established as a municipality, but ceased to be an independent town after local government restructuring that followed the end of apartheid in 1994. Midrand has been part of the City of Johannesburg Metropolitan Municipality since 2000. Midrand is a modern town and has experienced a lot of growth in the last decade. It continues to expand and many businesses have made the shift to Midrand due to its proximity to good highway links and its location in the economic centre of Gauteng Province. Midrand offers residents diversity of choice when it comes to schooling options. Midrand has many attractions that will keep both residents and visitors entertained. Whether you are a history nut or nature enthusiast, Midrand has it all. Lory Park, a rehabilitation centre and animal sanctuary is the perfect place for the whole family. The park is home to various big cats, reptiles and exotic birds. Some of these animals are too vulnerable to be released into the wild and have become permanent residents at the park. Visitors can see and learn more about critically endangered and endangered species of birds and mammals, including the Blue Crane, Bengal Tiger and King Vulture. Visitors can enjoy a relaxing refreshment at the Lory Park tea garden. This spot overlooks the open-air parrot and lorikeet enclosure. Children are encouraged to interact with the birds and learn more about them in a controlled environment. Another spot that is ideal for a family outing, is the popular underground gemstone mine tour. Here visitors can learn more about the underground gemstone mine through taking an informative and educational guided tour. View the colourful passages and chambers of the underground gemstone mine and then experience the sorting and polishing process of African gemstones during an outside mine-run. Midrand is great for golf enthusiasts. Not too confident in your golfing skills? Momentum World of Golf is the perfect solution. Designed for golf lovers to practice every part of their game, it is the perfect place to refine your skills in a fun and friendly environment. Avoid long queues, hidden costs and hassles and hit as many balls as you like for a small daily fee. FlyJozi is perfect for adrenaline junkies. Enjoy a guided historical Johannesburg tour in a unique way. The dedicated team is flexible and will do absolutely anything to ensure that your requirements are met. All flights depart from Grand Central Airport in Midrand. City of Jozi flight by day or by night - A unique look at some of the most iconic landmarks that Johannesburg has to offer, such as Nelson Mandela's first place of residence, the old Orlando cooling towers, Little Falls Nature Reserve and The Cradle Nature Reserve. Harties Scenic - Travel North West to Hartebeespoort Dam and enjoy spectacular views of the mountains and dam. Majestic Magaliesburg Mountains - Continue deeper into the Magaliesburg mountains after experiencing the splendour of the Hartebeespoort Dam. The Turkish mosque in Midrand is a faithfully replicated ¾-scale copy of the beautiful 500 year old Selimiye Mosque found in the city or Edirne. It is not surprising that it has become one of Midrand's most popular tourist attractions. Visitors can experience some breathtaking architecture with beautiful spires and doors. The interior is even more impressive with colourful and intricate mosaic masterpieces and domed ceilings. In terms of public transport, Midrand will not let you down. It has a large metro station on the Gautrain rapid transit system with easy access from the N1 highway and K101. The Gautrain is a mass rapid transit railway system in Gauteng that was built to relieve traffic congestion. It links Johannesburg, Pretoria, Ekhuruleni and OR Tambo International airport. It's been almost a year since the auction of the Kyalami Race Track in which Porsche won the bid for a whopping R205-million. The German based sports car brand has big and exciting plans for the race track. Porsche's main aim is to bring the track up to FIA Grade 2 status. To achieve this, a lot of work needs to be done in terms of infrastructure and the track itself. The track has deteriorated quite significantly over the years. The tarmac has been there since 1990 and needs a much deserved facelift to ensure that it adheres to international standards. Porsche plans to make alterations to the current design and the end result will add about 280m to the track which will increase speeds and give drivers more overtaking opportunities. *Read more about the upgrades. The Mall of Africa is scheduled to open its doors in March 2016. It is situated in Waterfall and is expected to change the face of the Midrand area. The shopping centre will be 116 000 square meters in size and will be larger than Cape Town's V&A Waterfront. The mall will give Sandton City a run for its money and is a worthy rival in both size and breadth. The mall will boast exciting architecture and shoppers will experience a superior shopping experience. A fiber optic cable will ensure Wi-Fi coverage throughout, making it perfect spot for business professionals to network. The mall is easily accessible from Maxwell Drive or from the N1 via Allandale Road and is in close proximity to both Lanseria Airport and O.R. Tambo International Airport. Mall of Africa is intended to cater for the flourishing community that is living and working in and around the Waterfall Estate. Carlswald gives residents an escape from the hustle and bustle of everyday life. The suburb is situated in a valley between Johannesburg and Pretoria. To the north, residents can enjoy views of the Magaliesberg. The Carlswald Lifestyle shopping centre is a popular and much needed shopping solution for residents and visitors. This open mall style complex offers a range of restaurants and has helped tremendously to put Carswald on the map. Halfway House, as its name suggests, is positioned halfway between Johannesburg and Pretoria. It was originally established as a watering post for horses traveling between the two cities. Today it is a hub of activity with various lifestyle estates, townhouses and businesses. Kyalami Hills is a beautiful residential suburb in Midrand. It is home to the Kyalami Hills Estate, a classy full title cluster environment featuring stylishly designed and perfectly maintained single and double-storey Tuscan style homes. This secure estate features a clubhouse, tennis court, and park area. 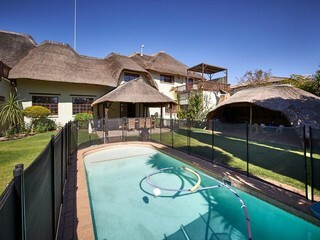 Waterfall Country Lifestyle Estate promotes the 'green' living. The estate is situated on the embankment of the Jukskei River and is evolving into an aesthetically pleasing and highly secure Estate. Residents can enjoy the tranquility of the landscaped park that surrounds their property. The residential Estates allow investors to build their own homes or choose from a range of sensitively developed building packages. Reddam House Waterfall, an internationally recognised private school, is situated in the Estate making it effortless for children to transverse between home and school without having to leave the high secure estates. Fitness fanatics can enjoy 37km's of walking trails and a mountain bike tracks that run through the Estates' 600 acres of indigenous green belt. Waterfall Country Lifestyle Estate is perfect for nature enthusiasts and comes complete with bird hides and park benches where residents can sit back, relax and be one with nature. The Platinum Residential team is made up of highly skilled agents who can assist with all your property related queries. Partner with a great team by contacting us today for all your residential property requirements.